You rely on your transmission to keep your car going. So when your transmission starts to fail, you need to get it repaired quickly At Accurate Automotive, we specialize in repairing all types of transmissions, including manual, automatic, and semi-automatic models. At Accurate Automotive, our goal is to provide the reliable and affordable transmission repair service you deserve. No matter the state of your transmission, we pledge to work our hardest to get it running again. And if we determine that your transmission can't be fixed, we'll work to have it replaced in a timely fashion. We pride ourselves on excellence in all we do, and we look forward to the opportunity to earn your trust. If you suspect that you may have a problem with your transmission, don't delay: Get it repaired before the damage gets worse. Call us today for more information or to schedule an appointment. My van broke down while out of town for work. They were very friendly and made the extra effort to get my van in for repairs quickly. Not an auto repair expert but feel that they did quality work at a fair price. Didn't feel like they were trying to take advantage of my being a female. Great service! Quick response, fair and cost efficient. Best automotive repair I have ever been associated with. Brad was excellent! Crazy above and beyond service! They actually did more than was expected in my repairs. Very attentive and friendly. Good reminders of upcoming service appointments. Fast, friendly, trustworthy. Best in the business. Staff repaired the items I 2anted to have repaired without pushing additional repairs. I appreciated their direct approach and general honesty as they worked on my vehicle. Being from out of town and my son going to school in IA I needed to find someone to take care of his break work and some other minor issues. I did some research online and found that Accurate Automotive had some really good reviews about their work and owner Jason so I trusted my instinct and called. You just never know if you're getting taken advantage of or not with not knowing anything about the business or its owners. Jason and Brad were really good about keeping in contact with me and I felt comfortable with what they did and was happy they got the work done as quickly as they did. They seemed pretty reputable. I would definitely recommend them and would use again if needed. Basically stopped in with my car that was having an issue. They were willing to fit my car in to take a look and answered all my questions. BMW in good hands. Provided model specific insight allowing us the security to break free from dealer limitations. Glad to have great service in my neighborhood. Brad did a great job fixing an aftermarket component. Also got the job(s) done quickly. First rate experience as always. I go to Accurate regularly as we have 4 vehicles....they are great with taking me right away with no wait. They are super direct and honest about whats going on with the vehicles. They have great senses of humor- never take them selves too seriously but definitely do a great job and always figure it out. They are terrific at sending out to weld parts, they obviously have good relationships with other businesses. I like their layed back demeanors- they always help me- even when I just drop in and ask them to look at something or adjust it. We have super funky cars....they are so good with all of them. I wandered in one day and they helped me take a big dent out and spray painted it and it looked fabulous....and they did not charge me! I love these guys! These guys are AWESOME! Everyone should bring their cars here!!!! High quality service and good advise. Had a warning light come on and they where able to service me within hours. A good diagnostic inspection, explanations and advise. Wife locked Keys in the car and had a window that had dropped down into the door. Same day! One call and our problems were taken care of. I live in Palo (40 miles away) and wouldn't do business with anyone else. Customer for life. They did a great job for a great price! The only reason I gave four stars was because they got the wrong part and we had to wait an extra day to get our van back. But I would definitely return for them for further service. I love that I was able to go back to my car to look at the items he was telling me about. They were very helpful to people who don't know much about cars. They didn't try to sell me something that I didn't need. Had 2 headlight assemblies replaced. Half the price of the dealer. Great service. I live in 45 miles away and this is the only place I take my vehicles. I have never had any issues with repairs. The service is outstanding. I receive several phone calls to let me know how the work is progressing and what options I have prior to Accurate doing any additional work. Their input is informative and honest. The Management is both professional and friendly. They really care about how satisfied I am with their work and obviously take pride in both their work and reputation. I have referred several of my friends and co-worker to Accurate for their automotive needs. My family has been going to Accurate for well over a decade now and will continue to do so. This is a locally owned business run with professionalism, straight talk, and courtesy. I think that describes what you want from an auto shop right there. They keep us apprised of the anticipated service needs and inform us when we might be able to delay a given repair or part replacement. The staff is top quality guys you can trust. Hell, the place is even clean to boot. Nothing but endorsements from us. When it's time to replace your vehicle's tires, I recommend you talk to Jason T at Accurate. I did, and got an excellent set of tires at a great price for my old car. Also, I'm a long-time customer for engine repairs, brakes, and oil changes and will continue to be. Extremely great service! Great service! Fast, honest and friendly! We've been taking our cars to Accurate Auto for a few years now and are always highly satisfied with their service! This morning I called about a whining noise and fluid leak and they got me in right away. Just looks like it needed a fluid replacement (I was expecting much worse). I had noticed a headlight out as I was leaving the house this morning and they replaced that too. The car was finished quickly (especially without a prior appointment) and reasonably! Awesome! Very professional and friendly. I trust taking my car here and know that I'll get excellent and honest service at a fair price. Fixed our van without having to do the anticipated high dollar replacement part. Very conscientious guys, we go there with all of our cars. Awesome service as always! Thank you! Fast, friendly, and ACCURATE!!! Long time customer. Always great. We took our car in for routine service. The staff is always friendly, knowledgeable, work is always done well and most importantly they are honest. I am new to the area and was very pleased with the service that I received at Accurate Automotive. I took my vehicle in for a tire leak that I thought I was having. They did not identify a leak in my tire, which I was surprised to find out. When I explained my concerns that something else might be going on, they took my car in for second time that day and looked beyond the tire to identify the issue. I worked with Jason and he for very kind and explained the issue at hand thoroughly. I have several friends that will be going to Accurate Automotive now because of their excellent service and care for their customers. I left my car around 4.45 pm and the next day early morning the car was ready to be pick up. So, I did not miss any events that I need to acomplised that day. I was referred to Accurate Automotive to replace the clutch on my car. Jason and the team were extremely helpful in diagnosing the problem, researching and communicating all the options, and working with me throughout the process. The repair was done well the first time and they were sure to inspect and replace the appropriate parts as they went. The repair was done for less than the estimate. Accurate Automotive earned my business and I would recommend them to anyone. Had a bad steering pump. I dropped off my car on Sun and they fixed it on Mon. Cost was about what I figured $500. Jason is the best! I called for an oil change and when I got there decided to get a tire rotation and that was not a problem. Instead of just completing the service, they recommended new tires, especially if we get bad weather. They get me in right away, even when I don't have an appointment. They look out for my car's needs, rather than making money. I started going here at the beginning of the summer and now, I will not go anywhere else. The guys at Accurate do a great job. Their priority is keeping my family safe on the road while not gouging the pocketbook. Jason always let's me know an oil change in advance when something extra will need to be done. . .this definitely helps with my family's financial planning! Good service but overpriced for work performed, took a can from under the seat and reconnected a SRS electrical connector. Great people who do great work! We've been going to Accurate Automotive since 2008 or so and have always had really positive experiences. They do excellent work, communicate options clearly and they are a bunch of great people! Highly recommended! I love Accurate motors! They GO WAY out of there way to be helpful. I can just drop by and they always want to help with whatever the problem is. They also totally know their stuff..I just dropped in today and they ran out and fixed what I needed with the car. Definitely best place in town!!! And they are very sweet guys! Great customer service. I will know more with time about the quality of work done. I will return in future! They were very friendly and helpful. They seemed knowlegeable about my car and I am hopeful that it is fixed and ready to drive for a long time. I am happy to have a team of experts that can service VWs and my car. Thanks. These are my "go to guys" for my two college students! Have used Accurate Automotive several times and have been totally satisfied. Recently, I was stranded over the weekend while visiting and they were able to make the necessary repair first thing Monday morning - even helps me out with a courtesy shuttle from daughter's apartment to their shop to pick up my vehicle. Highly recommend! Honest diagnosis of your vehicle issues, prompt & courteous. You'll be treated well here, and if you are not a customer, you should be. fantastic as always. Brakes were squeaking told them I thought I needed new pads. A less honest shop would have replaced them. Instead they inspected them and found them to be fine. Jason's team at Accurate always do an excellent job and provide great customer service. Staff was extremely helpful, accommodating, knowledgeable and efficient. Thank you, Tjarks, for a job well done. Associates are always friendly and helpful and work is well done. Jason and his crew always go above and beyond to make sure your car is taken care of. They are trustworthy mechanics who will not steer you wrong! Done on time and well. Reasonable rates too ! Great Service! Clean Shop! I don't have to clean the car because of a mess the shop made. Simply always the best service!! I can't tell you the piece of mind you give our family by servicing our cars while our boys live in Iowa City. We really appreciate your quality work and flexibility to accommodate our schedules. Thank you also for not only fixing the problems we bring our cars in for, but also giving thorough inspections to make sure everything is running correctly. Safety is very important and we appreciate you recognizing that. Thank you for everything. They were prompt and able to get my car in quickly for service and took extra time to address a concern of mine. I'm happy with my experience. My service was excellent, as always. I dropped my car off as an early bird. It was done in less than an hour. Guys took care of my daughter's car on short notice. Got everything done that needed to get done in short order. Accurate Automotive diagnosed and fixed a long-standing problem with my car when multiple other mechanics could not diagnose the problem. Efficient and reasonable pricing; I have found my new mechanic! My experience was great, as always with this establishment. I highly recommend it. Accurate Automotive got me in in a timely fashion and out again with new parking brakes. Thank you Jason and Brad---you guys are the best! I had a great conversation with a young woman from Germany in the waiting room---nice bonus! Without a doubt the best mechanical experience that I have ever had. Service is extraordinary and the work is of the highest quality. Accurate Automotive did a great job on my car. I took my car in for an oil change, tire rotation, and interior detail. Everything was done as requested, it was finished on time, and it looks great! As always, a great experience! Accurate Automotive has proven themselves once again to be trustworthy of fixing my beloved old Toyota wagon. They gave me options and did the work they said they would for the price quoted. All in a very timely fashion. I always appreciate the Care and Candor that Jason provides. Unlike many other places, I don't ever feel as though Jason is "selling" me something but rather providing me the kind of advice and guidance he would give himself.I continue to be confident in my vehicle as well as my long term goals for its use. Thank you! Foe me this automotive mechanic is an outstanding!!! Everyone at Accurate is a pleasure to deal with; my family has been going there for years and every time, the service is fast, complete, and dependable. As always, all aspects of experience were exemplary: from responsiveness to sudden need to care and execution of tasks at hand. In contrast to dealing with dealership at which we originally purchased the car (Audi), always feels like dealing with family at Accurate, good relatives to boot! Always top-notch service and quality work. They went out of their way to accommodate my issues. We were supposed to leave on vacation that night, and our van died that afternoon. Accurate Automotive got us in with no notice and let us leave for vacation on time! Great! I always enjoy visiting the them and trust their opinion. Honest and worked with me every step of the way in resolving my automobile problem. Great communication. Courteous, professional, very prompt. It's great to have an auto mechanic you trust. Always happy with my service at Accurate, which is why I don't go anywhere else. I also bought my last 3 vehicles there. Thanks Jason and crew!!! Great place to get your vehicles worked on. Give honest insight on what NEEDS to be fixed and don't try to rip you off like some of the big dealerships and other garages around town. I would recommend this garage to anybody, and especially struggling college students as they will tell you what is the most urgent fix and will give you an accurate quote. My appointment was for a week after I had brought in my car. It started to make a "clanking" noise and even though they were busy, they had my car fixed by the next day! Also, I appreciate that they did not recommend any unnecessary work to be done to my car like all the other places I have taken it to. It is one of the only times that I actually felt safe driving away and trusting Accurate Automotive enough to return for future work. Have had great experiences with Accurate Automotive. Always feel well taken care of. Two thumbs UP!! Great to work with. The service at Accurate Automotive is really wonderful. I felt like they were honest about what issues my car had were important for safety and which weren't entirely necessary to fix. I would go here again just to interact with the pleasant employees! Fantastic service. They always deliver on what is promised. I appreciate that. I receive superior customer service from the Accurate Automotive staff every time!!! The staff provide helpful, critical advise/guidance regarding car maintenance!!! They take the "hec" out of hectic ;-) ! I highly recommend Accurate Automotive to all who want exceptional customer service and superb quality care for their car!!!! Always the best service hands down! Went in thinking I had an overheating problem, and the guys at Accurate Automotive found out it was just my temperature gauge that was bad, and everything else was working fine. They recommended not doing anything, since there was no danger, and so I saved some money. They could have recommended trying multiple things if they were out to rip me off, but that was not the case, so I really trust these guys now. They didn't try to sell me on any other fixes either, just addressed what I had brought my car in for. I will definitely be going back to them, and recommending. Friendly and trustworthy! I was pleased by Jason's quick service on my air-leaking tire. I appreciate the prompt, clean service! We were heading out for the weekend with a clean car. The techs here care about keeping your car as clean or cleaner than they saw it brought in. Thanks!! As always, Accurate Auto was quick, honest, and reasonably priced. They provide great customer service and always call when the work is done to walk me through what they did and see if I have any questions. I wouldn't take my car anywhere else. Amazing. They were friendly, priced fairly, and didn't treat me like I'm an idiot because I'm female. Excellent, quality service in a timely manner. Thank you for taking care of our family and their car needs. Made sure all of my concerns were addressed quickly. We had a minor issue with the car-- a piece of plastic protecting the undercarriage had gotten disconnected and was dragging on the ground. We were able to get a quick appointment, it was resolved quickly, and the price was very reasonable. As always, I'm very happy to have Accurate helping us! Quick and great service, as usual. Accurate is friendly, prompt, and they provide great service! The Auto Mechanics, everyone working at Accurate Automotive are amazing - very friendly, attentive, knowledgable, and they genuinely care about delivering excellent customer service. They always greet me with a smile and remember my name. They literally go out of their way; I feel like I am their most important customer! They are honest and transparent, when it comes to pricing they are way more than fair. I recently had a tire rim crack, I took my car in to have air put in the tires, when the auto mechanic saw the cracked tire rim, he respectfully informed me of the dangers with continued driving. He actively worked to put on my spare and searched for a reasonably priced tire rim. By 4:00 that day, a replacement had been located at a price significantly lower than the dealership quote. Also, on short notice they kindly and consistently provide shuttle service! These guys are the best, they provide me peace of mind and my Mercedes Benz with the special attention and expertise needed! Great help getting four new tires at a great rate! Excellent service. 2007 Impala running perfect. Thank you for taking such great care in your work. You have earned repeat business from our family. Happy Holidays to you. They were able to get my car in on the day I called without an appointment and they got it fixed very quickly and provided great service. As always, guys did a great job of fixing my vehicle. Replaced struts at a great price out the door. Fantastic work and very informative. Easy to see the love and passion they have for maintaining automobiles. Excited to have them as my car guys! Very friendly and straightforward guys. Great friendly service. Reasonable and quickly efficient. Friendly staff. Thanks! It's a pleasure to visit Accurate Automotive because you always solve my problem. Thanks, Brad! I was pleased as usual. And I was especially surprised by the low cahrge for my annual oil change and other services performed. As alwlays, friendly, prompt, and did not try to see me anything that I I did not need. My car died while I was out running errands and I called Accurate. They were able to squeeze me to fix my car in under an hour and even gave me a loaner to drive so I could finish my errands while they worked. Fabulous service. I'll never take my car anywhere else. I love going to Accurate Automotive. Everyone is super friendly and on many occasions they have gone above and beyond in helping me maintain my vehicle. I love Accurate Automotive. They provide great service and high-quality workmanship at a fair price. I feel like anytime I go in with a problem or question I can truly trust what they say. Your search for an honest, exceedingly competent auto repair and maintenance shop stops here! Their customer service is extraordinary. The people here are great, and always willing to explain things to me as I'm not very knowledgeable about cars. wonderful service. definitely recommend them. Great Service! I came in ahead of my appointment due to low tire. Still got me in & out in record time! And as always clean, proffesional service! Great service again and thanks for being able to get in me same day with little notice! Thank you for your prompt Service and your attention to detail. Super experience, as always. The interior detailing was done very well. I trust everyone at Accurate Automotive. Great prices, quick service, friendly folks! As always, a great job. Thanks guys. always prompt, professional, and honest about the vehicle. I was told in Florida this winter at two different franchises that I needed new brakes. 2000 miles later at Accurate they told me I do not need brakes yet. Not the first time they have not recommended an expensive repair that someone else had said I need. Asked them to refasten loose under panel I could not reach. They did it readily, and at no charge. As always, excellent care for car and for the customer. Great service! Clean shop! Don't trash my vehicle! Great Place! You guys are awesome. Always so helpful! Accommodating to busy/irregular work schedules, fast reliable service, and everything is explained up front. Finally, an auto shop with small town values in a bigger city. 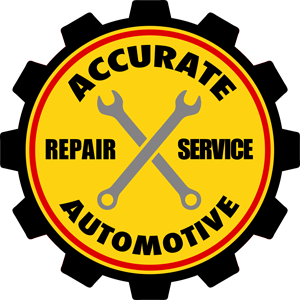 I recommend Accurate Auto for any repairs small or large. Good people , they get the work done that's needed and recommend parts that they find need replaced. Not overbearing either, ready to work with on whatever. Excellent - quickly were able to say my water pump was going out, provided me a fast quote, and were able to work my vehicle in all in the same day! Great job by Jason at the front desk of identifying the issue and providing quote, and a loaner car for me to use. Thanks to Derek for being able to work into the schedule and get complete so was ready for me to pick-up at end of day. I was very happy that Jason was able to fight through the hassle of working with my extended warranty program and get my front struts replaced. Great staff to work with including Ryan. Excellent shop. Looked my car over and told me exactly what I needed and what I did not need. Saved me a lot of money and the car runs great. This was the first time I've ever had my car's interior detailed, and it showed! Accurate did a great job, going back several times to make sure everything was as clean as possible. I honestly was stunned how well they did at removing stains, ground-in dirt, and just general grime. I hate to put my kids' car seats back in! I can always count on the terrific crew at Accurate Automotive. Great job getting me in on short notice to evaluate my engine oil concerns. In & out in less than 1/2 hour. Another efficient and well-done job by Accurate Auto! Same day service, quickly done. Thanks! Super service--excellent customer service ---trust them completely to take care of my van! They are the Best! Provided outstanding customer service and went above and beyond to take care of my car! Highly recommended! They were very good at explaining what was wrong with the car and how they would fix it. I'm very happy with my experience. Accurate Automotive is the best car service shop I have found in the Iowa City area. I am very comfortable with them working on my car. I love it that they will tell me what I need to do to keep my car in good operating order without suggesting a million unnecessary repairs. They also spent time explaining how I can check and fill my own oil if my car ever runs low while I'm out and about. I have and will continue to recommend Accurate Automotive! I had a particular issue with my Nissan Frontier that neither the Nissan dealer in Iowa City or Cedar Rapids could accurately diagnose or provide a long term solution. Accurate Automotive figured out the problem, the solution, and communicated politely and relayed accurate information during the entire process. They are very skilled problem solvers and mechanics and I have relied on them for service on all my vehicles including an Audi and Subaru. I trust them implicitly and highly recommend their services. Brad & Jason got me in right away without an appointment. Had a small oil leak which was fixed with a oil change (leaking filter). Also changed out the air filter. My car was finished very promptly and Eva the "watchdog" was beautiful. Fantastic service, great group of guys, highly recommend to all! The work was prompt. I got an honest assessment. All well done! Always professional, prompt, and explain what was done and why. Always give an estimate before and explain why added work was done if necessary. Great and fast service, as usual. I'd ask to have the brakes checked, knowing they'd need work. Turned out they were almost gone. They made time to replace all the brakes, do all the other work I'd asked for, pick me up from work on the test drive, and get me on the road in time for the holiday. Thanks, guys. You're always the best! Jason was very helpful and honest with his assessment of what needed to be done and took care of things right away. Grade "A" Job!! You guys are awesome! It's always reassuring to know that you can trust your car mechanics and every person in that office has helped us and gone above and beyond. I can't thank you guys enough for all the extra effort that you have done for me. The guys are Accurate Automotive are great. I've been taking my cars to them for nearly 15 years and have never had a problem. They are quick, friendly, do an excellent job, and, as someone who knows nothing about cars, I trust them to be honest with me about my car's needs. I'd recommend them to anyone. You guys always do a good job and you explain the cost of repair before you do the work. Thanks for being so kind and helpful. Accurate Automotive provides quick and honest service. The employees are very friendly, and always do their best to work around my schedule to deliver results fast. Service was great! I got an oil change this visit and it was done quickly. I would definitely recommend this place to a friend! I'm a busy mom with 4 kids. I love that I get a reminder when the car is due to get a check up and love the ability to request an appointment online. The work was done first thing in the morning and I got a call about an estimate and a call when it was ready to be picked up. Awesome service and I know I can trust the workmanship. Thanks so much! When I walk in the door, I see friendly smiles coming from behind the desk at Accurate Automotive. I've been taking my vehicles to this clean, well kept shop for 14 years now. The service was fast and friendly. They elped explain the options of what could be wrong and how to fix it, but did not push an immediate fix for a smaller issue. My car received quick and professional attention. I plan to be a long-time customer. Needed my front brakes replaced and they were fantastic about getting me in right away and trying to fix them as quickly as possible. Took an extra day longer than expected but that was due to needing to order parts, which is an acceptable delay to me. As a single female, I felt comfortable with their analysis of my vehicle and felt like the price was fair. Always great service and pricing! I would recommence Accurate to anyone! I am very pleased with Accurate Automotive. I don't know a lot about car maintenance and such, so I couldn't tell you how they compare dollar-wise, so I am holding back from giving them 5 out of 5 stars. Fantastic service from the beginning to end. I've been going to Accurate Automotive for at least 7 years and have always recieved top notch service with a smile and without hesitation. These guys know what they're doing and it makes me happy that I can refer friends and family their way! Thank you, One and All! Great service! Always fast and reliable! Awesome place to do business. Knowledgeable staff. Extremely accomodating in getting me to and from my office while my vehicle was being serviced. Excellent communication; felt like I had known the representative my whole life. Quick turnaround and thorough work. Great service as always! Thanks for taking great care of our car! These guys are great. Fair pricing and good work. They go the extra mile for their clientele. Accurate continues to demonstrate quick and reliable service, no matter what I bring to them. From my motorcycle to the latest project car, Accurate knows what to do and exactly how to treat their customers. Many thanks! Excellent, friendly service with fair repair rates. We have been using Accurate for over a year for our oil changes and minor repairs. We really like their work and would gladly recommend Accurate to our friends. They gave me an estimate on the work required. Did not try to sell any extra service. Very Good Experience. Quick service--everybody is helpful and professional. Excellent service! The staff is kind and trustworthy. Repair assessments are fair and honest. Accurate Automotive has been servicing our vehicles for years and the repairs are done right the first time. Thank You Accurate Automotive ! Always a wonderful warm experience at Accurate. Plus, my car is always well taken care of! Awesome place, awesome employees, awesome service! As usual, I got excellent service, very fair, straightforward, honest!! No added work, parts...I've been with these folks for a loooong time now...directly because of that high standard for service! Accurate Automotive are skilled technicians who care about their customers. I rarely get that feeling when visiting a factory authorized dealer. I also like the fact they use Amsoil, which is a top grade synthetic...Mobil 1 is a pale shell of it's former self. I would HIGHLY recommend Accurate Automotive. Wonderful customer service, did exactly what was asked, pointed out concerns and gave realistic time frames. Also, being able to give my card information to them over the phone and pick up my car after closing is more than convenient. Only concern was they didn't actually lock my keys in the car because they didn't know how to get around the auto-unlock on the front doors. As always Accurate did a great job on my recent service. I continue to bring my car back over and over again because they always do a good job. I've been bringing my cars there for about 9 years now and have never been let down. Clean job! As always, A very thorough service job! Great work done in quick time. Very Pleased With Accurate Automotive. They are very thorough and Exact. They are willing to communicate the repair process and answer any questions. A will gladly come back again for any and all service and repair needs. Did a great job working on my car, like usual. They looked at all the things that I asked them to and checked if I wanted them all replaced. It was done and ready on time and even swept my car mats! The staff at Accurate Automotive are always friendly and helpful! Splendid! And great coffee, too. They always do a great job! Great service! Even called the dealer to confirm warranty information prior to oil change! They were honest and worked hard to find out what was wrong. They didn't offer a fix until they were confident what it was. Great customer service and very helpful. Fast, friendly, accessible, no pressure. Everything is fine and thank you. Quick work, low price, honest guys. as always the service and attention is great. Excellent service. Called for a appointment and was able to be in the same morning. The service was quick and I was informed of everything that was worked on and given information on other things that will need to be fixed in the near future. I was very pleased with the price (better than a quote received from another local auto shop), the courteous staff and the convenience of the shuttle service to work. You guys were great as always! I love having a car care place in this city I feel I can trust. It's difficult to find an auto repair shop you can trust. My family has been going to Accurate Automotive since it opened more than a decade ago because of friendly service, reasonable prices, and dependable repairs. I wouldn't hesitate to recommend Accurate Automotive to anyone. Very fast and professional. Took time to talk to me, answer my questions, and discuss options. No pressure. Great service and reasonable repair suggestions were made. I admittedly used to avoid going in for oil changes at Accurate becuase additional repairs would routinely add up to $300-$500+. It's one thing if there is a safety issue or if the suggestion is to prolong the life of my vehicle, but the staff knows perfectly well I do not know what my car requires to function properly (leaving ample opportunity for excessive/unnecessary revenue generation). Things have improved greatly with the addition of Jason Tjarks. As long as I don't feel taken advantage of, you have a loyal customer in me. Always good & honest people who give good service. Service and personal approach are always outstanding at Accurate. Saved hundreds over dealer pricing on repairs that were atypical in nature. I won't go anywhere else. OUTSTANDING communication & service, and great value. They always do great work. Superb service professional and swift . They are very honest and communicative about repair work. I would and frequently do recommend them to friends. Accurate went above and beyond: providing a car for my use when the appointment took longer than expected, repairing a bent fender without charging me. Accomodating, quick, informed, easy to interact with. Derek did a great Job! Vehicle is kept clean in process! Speedy service. Very knowledgeable and professional. Would recommend to anyone. The techs were helpful and friendly. I liked the flexible scheduling. Work was completed in one day. Reliable maintenance for the auto.. Accurate Automotive always does awesome work! I have recommended them several times. Excellent team of professionals! Even though I did not have an appointment, the service was courteous, prompt and reasonably priced! Clean Shop! Did not get grease or dirt on interior! Jason and Brad always provide excellent service! Always take good care of me and my automobile offering preventive maintenance suggestions where necessary. Service conducted in a professional manner and completed ahead of schedule. Great service. Called at 4PM and they got us in the next morning. I've been a customer of Jason et. al. for 10 years, since shortly after they started out. I have watched them grow very successful. I trust Accurate Automotive completely. They deserve a top-notch rating. GREAT! Thanks to all of you at Accurate Automotive---and we hope you have a very happy holiday season! Service was great! As always. It can be hard to find an honest repair facility, especially when you're a woman, and I think the people at Accurate are not only honest and not out to get as much money as possible but they are also very good at maintaining and repairing cars. It's also easy to make appointments. I have been taking our vehicles to Accurate for the past several years after a referral from a friend. Our service has always been excellent, honest, and efficient. Our college students car broke down and so we had to arrange service over the phone. I was surprised by the consideration and understanding they provided to a parent who is a considerable distance away. The repair was done in a fair and reasonable price and follow ups were done without question to insure the reliability of the car. I would definitely recommend this shop to other parents of college students far away from home. Pretty typical service call, but provided in a friendly, prompt & professional way. Great first service experience, will definitely be back! Excellent, fast, and friendly service! We appreciated the good communication about what needed to be done on our car. They made good time on the work and came in under the estimate. A quality product on time by nice people--I could not ask for a better experience. Super job-excellent service---thanks so much and wow for the vacuum! See you at 200! Wonderful! John was glad to stop by and see you guys and get my headlight fixed in a split second! Came in for an oil change and it was done quickly and efficiently. The guys at Accurate got to my car a day ahead of schedule, completed the repairs in just a few hours, and even did a courtesy inspection to let me know how things stood for my other maintenance needs. They even vacuumed out my floorboards! Loved the coffee and the cup!!?!?!? Thanks! And my car is running as smoothly as ever. You guys are the best! These guys were very professional. They knew ahead of time what the possible problems that we might have before their actual diagnoses. Being from out of town you sometimes think the worst when it comes to auto mechanics, but the job was fixed right and the cost was what would be expected from my hometown shop. Work on my car well explained, done in time. Accurate Automotive lives up to their name and more. Everything from scheduling to communication to reasonable rates make Accurate Automotive my favorite local provider for auto maintenance. Thanks, guys! The first time I went to Accurate Automotive was back in 2000 or so. I was a poor student, and my car was not working. The crew at Accurate found an affordable used part for me and fixed my car very reasonably. They have thought out of the box to help me to save money over the years. They know my and my car. I can sum up Accurate Automotive in one word, "Trustworthy"! Thanks guys! Accurate Automotive is always helpful and has great customer service! Anytime I ask for assistance, they are always willing to provide it! As always staff was friendly and professional. I needed tires and alignment done quickly and they were able to do both. They lent me a car to run an errand and phoned as soon as the car was ready. They may not be the lowest price in town but service is excellent and the job is done right. brought in the honda again and whati like about the care at accurate auto is that they will always educate you on what needs to be done with the car and what was done and why. i highly recommend accurate auto to all my friends and co-workers. also they are locally owned and operated! God bless America! All around solid work every time I go. Having driven 1000 miles from N.Y. to Iowa City with a shimmy doing 70 mph or more, I phoned Accurate and was able to bring the car in to them at the first opportunity upon arrival. They were professional and prompt in their servicing of my car and i was out within an hour! No shimmy on the return trip! Thanks for another great job taking care of my vehicles and various motors. You bring extra life to my cars and they will be on the road a long time. Accurate consistantly exceeds my expecations and it's nice to have a place that I can always trust. Took car in for 30K checkup. Car was serviced [and vacuumed!] promptly, ready in less time than expected. I have had my cars serviced at Accurate for years, the staff is friendly and, more importantly, very knowledgeable. I can unhesitatingly recommend Accurate Automotive. I was pleasantly surprised at my total at checkout. There was a 130,000 mile service done on my VW. Anytime I've had a similar service done at the dealership it was much more expensive. I'm always satisfied with the service and fairness at this establishment. I moved here two years ago and had been taking my RAV-4 to the Toyota dealership for services because I didn't know what shop to trust in the area. I heard about Accurate from a friend and gave it a shot; clean shop, fast work, really friendly and communicative service. As an aside, the interior of my car was straight up disgusting (needed to be vacuumed like crazy after a friend trashed it) and Accurate very unexpectedly vacuumed it out for me. It's a little thing, but much appreciated. I'd go to these guys over anyone else in the city. Trust, confidence and competence -- the watchwords that describe Accurate Automotive. I very much appreciate the clean shop & the fact my car is as clean when finished as when it came to the shop! Also when given an estimate, final cost came in just alittle less. Very Pleased! Jason and the crew did a great job taking care of our brakes. They go above and beyond to care of us. They've helped keep my older truck running for years. Highly recomended. I really feel the mechanics have a vested interest in me and most importantly the well oiled machine that gets me around town. I have a vintage cadillac 99 that was my brother's and I cherish that they care about it as much as I do. They are as competent as the dealer in Des Moines. I recommend them to anyone who will listen. I had them recommended to me from a coworker. I always have excellent service at Accurate Automotive. Everyone is friendly and they keep my car in good shape! Got the driver's side mirror replaced. It didn't take that long and it turned out great. Thanks to the guys at Accurate Automotive that continue to take great care of my Nissan Rogue! I appreciate the fantastic service with each and every visit. I've been coming here for years and always get 5 star service. Thanks again! Excellent service as I could get my car right in and finished the same day. All problems discussed prior to compeltion of work. I was very pleased by the service and treatment I recieved at the Accurate Automotive in Coralville/Iowa City today. Traveling through from out of town, I needed someone to check out my car because the check engine light came on and there was a concerning shake to my car. Even though I showed up ten minutes after they closed at noon on Saturday they looked at my car and reassured me of what it was and what I needed to do. They kept a great attitude and were very helpful! Thank you to them and I'll pass on a good recommendation because they deserve it! Brad and Jason do excellent work! They take the time to explain what needs to be done in an honest and thorough manner. I was able to revise my appointment time to better fit my schedule, choose the services I wanted, and make changes mid-stream without them batting an eyelash! Thanks, guys! As always i received great customer service and quality repair to my vehicle. I have been to accurate many many times and have always been incredibly happy with my experiences. I have and will continue to recommend everyone I know to accurate auto! Oil change and bulb replacement were timely. They found a broken part on my 2003 Honda Element, the sway bar link. The guys at AA always make sure you're taken care of! Very pleasant to interact with and service was very fast. They fixed what needed to be fixed and said that I should keep an eye on a couple other things, but didn't push fixing them at that time. I would recommend them and will go back again. My parking brake is working better than ever. Thank you! Got a call to let me know that AC work I thought was needed actually wasn't, saving me $$ and time. As always Accurate provided great service. Their continued excellence is why I always send my friends there when they need anything repaired or checked out on their cars. They know what they are doing and do it well. Thanks again for your service. Will go that extra mile to help you save money. Not be selling you something cheap, but if it can be fixed as opposed to new and save you money also. Good people who stand behind their work. This is the second time now that I've taken my car to Accurate Automotive. They get the car in quickly, provide honest answers as to what the car needs done at each particular visit and what will likely need to be done in the future, and they're always in contact with me if something changes from what they previously told me. I would definitely recommend others use Accurate Auto for any car problems for the great service. As always I am very happy with the recent work on my escape. I really appreciate the time taken to explain what is wrong and what needs to be fixed and what can wait. I was also surprised by and very excited to get the referral discount. I have probably referred 20 or 30 people to you and still would even without that discount but it means a lot that you care enough to acknowledge that. Thanks again for a great job! After they changed all my belts I discovered one was fraying after a couple of weeks. I called Accurate and they got me in and out of the shop the following business day at no charge to me. The only reason it was the following business day was because my schedule precluded me taking it in on Saturday. Well done guys. Walked in with a potential oil leak, but no other information. Walked out half an hour later with the problem resolved, and for less than $30. Excellent service at a price that's more than fair. As my friends recommended, I did my car regular maintenance there. Accurate Automotive always does nice job. Thank you. I'm grateful that you could replace her 2,002 Saturn's starter, so she could return to her home in Wisconsin with only a 2-hour delay for the starter replacement that you were able to accomplish!!! I had quite a bit of work over the course of a week and all of it was done in good time for a fair price and the work was done very well. Accurate does a good job and doesn't have the price inflation that most Iowa City mechanics have. My last appointment was to get an oil change and my brakes looked at. The bays were full & I had errands to run so they let me use a loaner vehicle. They weren't able to get to my car that day because of everyone ahead of me, so they let me keep the vehicle overnight. This is the first time I've ever had that happen at a repair facility. The dealership never let me use a loaner, let alone keep one overnight. So thanks for the great customer service that I can rely on. I love this place. They always quote more than they charge, and help the customer decide what is necessary. So far I have had my girlfriends car and my own worked on at Accurate Automotive and they were able to fit me in right away, figured things out that many others could not, and got them both done as fast as I've ever seen. Just moved to Iowa City and it's nice to have true professionals in the neighborhood! I was sure that my car was in trouble. It was hemorrhaging oil making terrible sounds every time I tried to brake. The folks at accurate checked the car over and helped me prioritize the needed maintenance. My car was ready to be picked up much sooner than I expected, and the work was completed for a very reasonable price. When I backed up my car that was parked on a snow covered driveway there wasn't a drop of oil to be seen. My fiance and her family have been taking their vehicles there for years, and I can see why. Accurate was able to work me into their schedule right away, getting me an estimate quickly. Then getting the work done the next day and the car back on the road, thanks. I have never had any real problems or complaints with the work done on my vehicle. The staff is always nice and the work done is done so in a timely fashion, during my most recent visit I had my oil changed and a new air filter box installed. A few days later I noticed oil was leaking from my drain plug and they told me to bring it back in and they changed the gasket for the drain plug at no charge. Thanks for all of your good work. The office is clean and the reception is gracious. The repairs are always done with precision and I feel confident in the work. I was please with my stop at accurate automotive. I took my car in for a 100K mile check and they helped me figure out what I needed to have fixed and replace. I took my car in for a 30 point inspection and an estimate on work. They were really nice, helpful, and thorough and I was happy enough with their estimate that I had them go ahead and do the work. They had it ready to go in no time. Definitely planning to go back to them next time around. Excellent service, great people. They know there stuff and are pleasant to work with. They stand behind what they do. Brad installed a new motorized seat pan to replace the old one on which the motor was going bad. This was accomplished much quicker than what we had expected. I brought my truck in for a routine oil change and discovered that there was some antifreeze mixing in with the engine oil with a slight cold-start knock. Brad and Jason relayed that they were unsure how long the engine would last due to some existing damage. At this point I was thinking this shop was like the others...they were gonna try to sell me a new motor, have it rebuilt ASAP, or do some $$$ repair like head gasket replacement. They actually recommended against such options to my surprise, and that if I'm not having problems with the truck, which I haven't, to just keep changing oil frequently, keep driving the truck and possibly try testing the oil at the next change and maybe try a stop-leak at best. This shop is by far the best one I have had experience with. I never write reviews, but this shop deserved one. I was gratified by the help I got and also gratified by the immediate availability of someone to help!!! Thanks Brad, Jason and Jason for the great work on our two vehicles. You even saved us some money on unnecessary actions recommended by Suburu, actions that can be taken next year. You even cleaned the truck -- thank you! It's such a pleasure to work with people who are competent and totally honest. We are sending you a new client, who is our neighbor and also owner of a new Suburu. Expect to see her in the New Year. Brought my car in in the morning just knowing something was up with the brakes. By the end of the day they had changed my brake lines, all the brake pads and rotors, and done an oil change. I thought I was going to have to wait at least a couple of days. Great service. They never make repairs they don't need to and always make a thorough assessment of your car's condition! Thanks guys! Excellent in every way, and responsive to customer input. Awesome work and customer service as always! Nothing new to report except the addition of "W.H." It's always a nice place to have one's car serviced. I called and got an appointment right away, and at the end of the day I had some issues getting my car. They were more then willing to help out so I had my car for work the next day! I'll definitely use there services again. The email reminder was great and the service was performed without a problem. Getting a ride to and from work is a great plus. I just got my car back and they did an amazing job, they are very friendly and do what is needed for you car without screwing you over on the price!! I wouldn't take my car anywhere else! I moved to Iowa City only four months ago, and had a very negative experience at an auto shop just down the street from Accurate a week after arriving. Accordingly, I put off having some routine maintenence performed for quite some time. After a long-term resident suggested Accurate, I took the plunge -- and could not be happier with their work. The guys at accurate took care to examine each issue I described, and even advised me NOT to replace my timing belt, a procedure that would have landed them an easy $500 or more. Rather than capitalizing on my minimal car knowledge to make a quick buck, Accurate was honest, service-oriented, and did a great job on the work they did perform. Their prices are reasonable, the environment friendly, and the overall experience was fantastic. If you, like me, are living in Iowa City with limited means (grad. students, anyone? ), you're likely to be frugal and very hesitant to spend several hundred dollars on anything. However, Accurate Auto is one place that will get my business every time, and I strongly suggest they get yours too. Honest people, great service, competent staff, reasonably priced. Great service as always! Thanks! I've had both of my vehicles in for service the last couple of months. I've been very impressed with their level of professionalism and honesty. I thought that one of my vehicles was due for a tune-up. They checked the plugs and told me that it was fine for now. Had I taken it to a dealership, they would have just replaced the plugs and charged me for it. I highly recommend them. I've taken my motor scooter to Accurate for repair and tune-ups several times now and they have been great every time. Very reasonably priced in comparison to other places in town. Super nice guys there too. NICE SERVICE MY CAR IS SATURN AND HAS A LOT OF LITTLE PROBEMS RECETLY. ACCURATE MOTOR FIX IT!! I thought my experience at Accurate Automotive was great. The staff is knowledgeable and they are informative without pressuring, giving me the options to make an educated decision. Excellent amicable and reliable service, as usual. We are happy to caarry your add on our new 17 y o car. Accurate Automotive did a thorough inspection, wrote up a cost estimate and forwarded to me in an email. I called and authorized the service and everthing worked as planned. Very happy with their attention to detail and service. These guys operate their business with integrity and a high level of professionalism. They treat both the cars and the customers with respect, and go the extra mile when it comes to customer service. I had an "engine service" light come on just before I was taking my car for an oil change, as well as a squeak from my front breaks. Jason called me back with the results of the service code check and the break wear and let me know what he considered the best (minimal) repairs I might need. However, he never made me feel pressured to do any particular work on the car. I chose the options that I wanted and feel confident that I had all the information I needed to make a good decision at a reasonable price. The car was ready by the original requested completion time and the paperwork took just a minute to wrap everything up. We loved having the estimate sent to our email address to peruse- so helpful! The service we received was great as well. We also appreciated your honest assessment of the priorities of what needed to be fixed or just on a "watch" list. Fast, efficient car service that exceeded our expectations. Great guys with a good attitude. Whether my kids are stranded in one of the worst snowstorms ever with a car that won't start, or throwing an axle rod or a strut, Accurate has provided honest, conscientious, timely, and fair priced services to my family. I trust them implicitly in an economy where it becoming normal to expect to be ripped off. I wouldn't recommend anyone else. Got me in same day, were very honest, and did exactly what I needed done. Highly recommended and will definitely consider in the future. I value the fact that I can always get quality service from the guys at Accurate when my car(s) break down. Additionally, I have a profound appreciation for the fact that they're observant and bring to my attention an honest assessment about the condition of my cars or what service I soon need or should anticipate. With four cars and a busy household, I don't have time to be ambushed by AVOIDABLE transportation breakdowns. I consider Accurate Automotive a proactive partner, keeping my cars running the way they're supposed to; safely and reliably. As always, they do a great job. Always very happy to explain things you don't understand. I litterally had to coast into their shop this past week as my car died while I was on my way. For what it's worth, I had no hesitation because I know I can always trust Accurate to fix my car quickly and correctly. Red carpet service always!! My brother had quality work done on his car and that is what made me choose Accurate. My personal experience was also very good. Brad was very helpful and communicated the issues in a way that was easy for me ( a non-car person) to understand. I feel that the work was done at a good pace and that they were fair. I have always trusted Jason with my vehicles. I feel he and his staff know what they are doing. They may be a little more expensive, but I know they would guarantee their work. Thanks Guys for doing such I good job!!!!!!!!!! this place you can trust! they will not do anything to your car without your approval. If you dont understand cars then they will explain it to you. You can trust that they give you a fair deal. to me as a single woman that is above all the most important. fair prices too.! they are great!!!!! I am very satisfied with Accurate Automotive and highly recommend them to others! They were able to address the problems I was having with my vehicle in a timely manner and a reasonable price. Brad clearly explained the problems and maintenance needs and provided great customer service. My car was fixed in one day and now drives great. It's great to have a place to go where you know they will treat your vehicle right and tell you what needs to be done and what they did. The staff is very courteous and knowledgeable. Their service is prompt, courteous, and on time. The work has always been top quality. Jason and Brad have a great business that I'll continue to use. Brad and everyone else at Accurate consistently perform excellent service at a fair price. I took an old VW to Carousel for a clutch cable repair, and they tried to swindle me out of $600 to just remove the engine and diagnose the problem. Luckily I stumbled onto Accurate, had the VW towed there, and got the cable replaced for less than $70. I've never even considered taking a car anywhere else since. They're friendly, fair, and honest. I was extremely pleased with my experience at Accurate Automotive. The mechanic with whom I spoke today came across as friendly, well-informed, and helpful, and his expertise has given me a valuable perspective on the used car that I am now planning to purchase. I certainly plan to return to Accurate Automotive when we need maintenance on the car in the years ahead. Accurate Automotive went above and beyond for me. They came to my work, looked at my car, gave me estimates much lower than competitors, made the changes, ran my card, and returned my card and car without me having to do anything. They even vacuumed out the inside. Great guys, great prices, will definitely return. Jason and Brad are smart, thoughtful and thorough. I trust them completely to give me a fair deal on high quality work. I had Accurate Automotive flush and refill the transmission on my daughter's Toyota. Always a great experience. Great service. Easy to get an appointment. Honest. We have used these guys several times. Each time we have gotten excellent service and exceptional customer service. I always feel like the guys at Accurate Automotive will do their best to figure out what our cars need. They are courteous on the phone, and in the office, and efficient, and precise in the shop! We are new to Iowa City and we were looking for oil change service at a place which has good reviews. As expected based on the reviews, Accurate Automotive done the job perfectly fine. They have a 30-point check list and my car was checked in all of them. All I've had done at Accurate Automotive is a few oil changes, but I have been satisfied each time. The staff is very knowlegable and helpful. I appreciate how they take the time to do an overview of the vehicle and check for any problems, even if you're just bringing the car in for a routine service. My only complaint is that it took several hours or my oil to be changed. Next time, I will schedule for an earlier time. They always provide excellent service. Very fast, honest, and friendly with great explanations! I would highly recommend Accurate Auto. Their service is great, reasonable prices and they are careful to avoid unnecessary work that needs to be done. I`ve already commented on Accurate Automotive, but feel compelled to add to what I`ve said. © Accurate Automotive. All rights reserved.